Erected by Village of Pittsford. Location. 43° 5.607′ N, 77° 30.85′ W. Marker is in Pittsford, New York, in Monroe County. Marker is on North Main Street, on the right when traveling north. Touch for map. Just past Erie Canal bridge and Schoen Place. Marker is in this post office area: Pittsford NY 14534, United States of America. Touch for directions. Other nearby markers. At least 8 other markers are within 2 miles of this marker, measured as the crow flies. 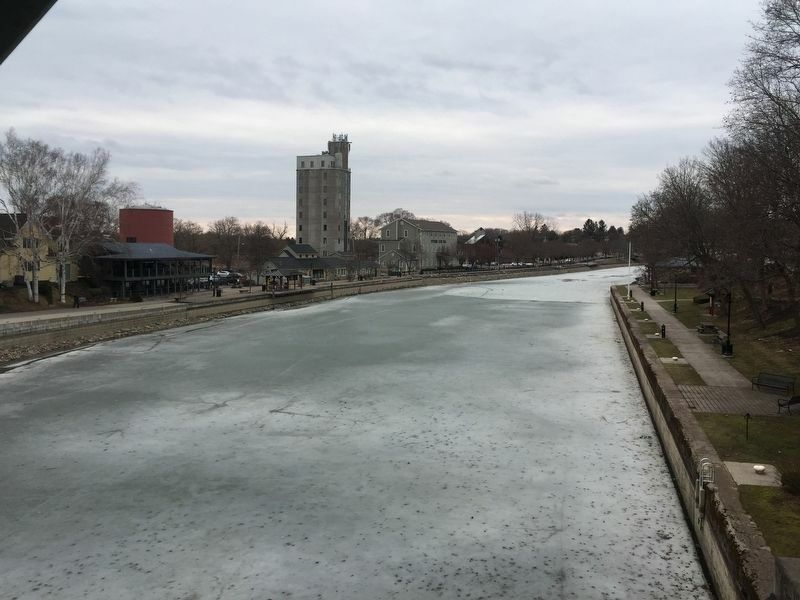 Erie Canal (about 400 feet away, measured in a direct line); In Honor of All Pittsford Veterans (about 600 feet away); Pittsford Village (about 700 feet away); Phoenix Hotel (approx. 0.2 miles away); Historic Schoen Place (approx. 0.2 miles away); The First House (approx. ¼ mile away); Cobblestone Academy (approx. ¼ mile away); District #1 (approx. 1.3 miles away). Touch for a list and map of all markers in Pittsford. More. 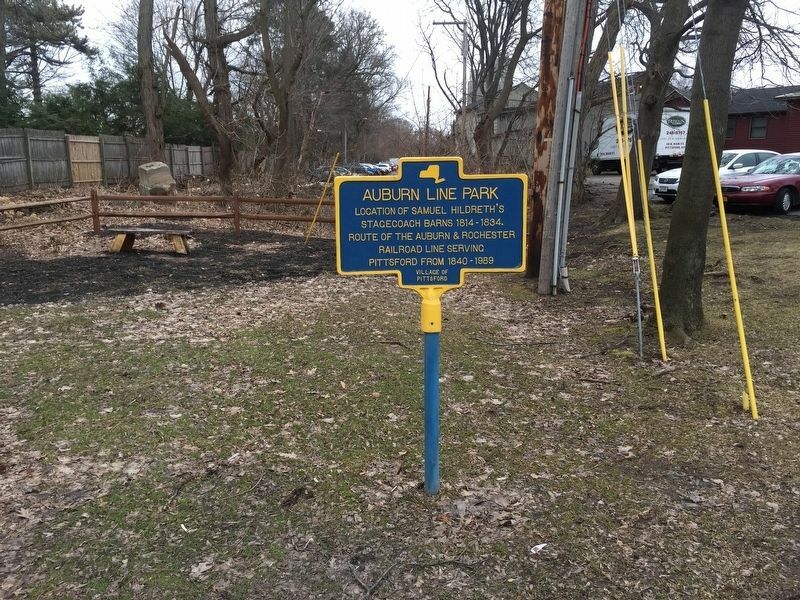 Search the internet for Auburn Line Park. Credits. This page was last revised on March 15, 2019. This page originally submitted on March 15, 2019, by Steve Stoessel of Niskayuna, New York. This page has been viewed 71 times since then. 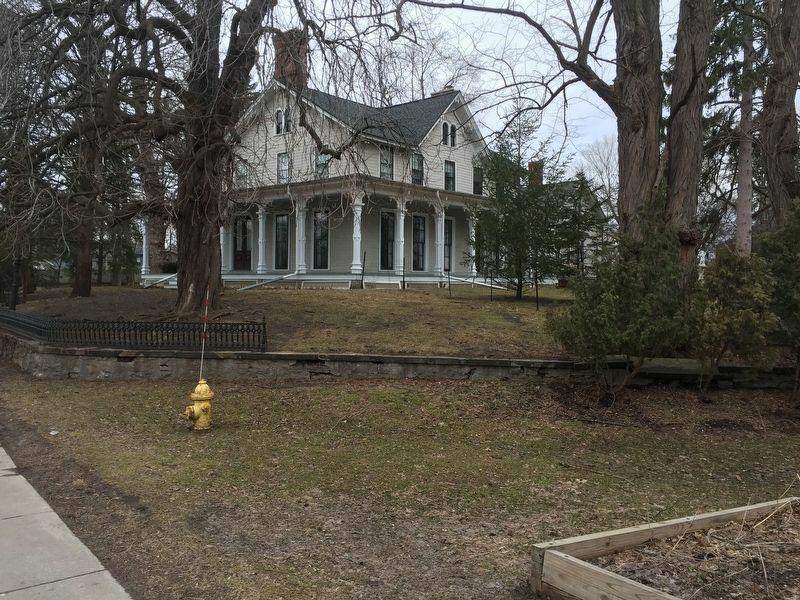 Photos: 1, 2, 3. submitted on March 15, 2019, by Steve Stoessel of Niskayuna, New York. • Andrew Ruppenstein was the editor who published this page.